When you want to play Blu-ray with QuickTime on Mac including the new system macOS Sierra, you need to use an external Blu-ray Drive cause Mac OS X doens’t have the function to read a Blu-ray. Now there is a easier way to stream Blu-ray with QuickTime and other Apple product – copy Blu-ray on Mac (macOS Sierra). Through ripping Blu-ray, you can import Blu-ray to iTunes for iPhone 7, iPad Pro and Apple TV 5/4 streaming freely. 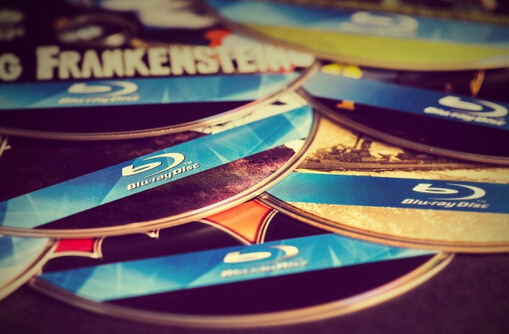 Of course, you never need a Blu-ray Drive to watch Blu-ray movies with QuickTime. To create digital copies of Blu-rays on Mac (macOS Sierra), you need Mac Blu-ray Ripper to circumvent the encryption scheme and save Blu-ray content in the format you need. 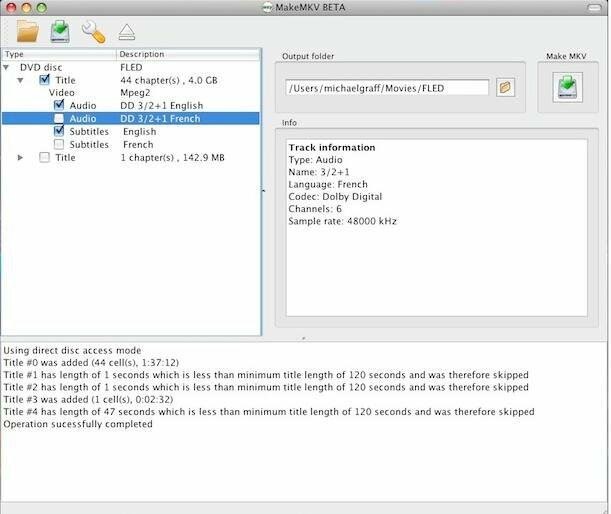 There are three highly-praised Blu-ray Ripper in the market: MakeMKV for Mac, BDMagic for Mac and Pavtube ByteCopy for Mac. Now, let’s see how to copy Blu-ray on Mac (macOS Sierra) with these three Mac Blu-ray Ripping tools. Requires x86 Mac OS X 10.6 or later. Once you’ve installed it, insert your Blu-ray disc and click on its image. MakeMKV will scan the disc looking for real titles rather than fake ones that might have been created to help protect the disc from copying. When it’s finished scanning it will present you with a list of chapter’s it’s found. Select the one you want (the largest one in size) and click the Save Title button. MakeMKV will set about creating the copy of the title. Once it’s done so you have a .mkv. Pavtube BDMagic for Mac is the professional Blu-ray Ripper which is designed to rip and backup any commercial and region-locked Blu-ray disc, Blu-ray Folder, Blu-ray ISO, Video-TS Folder to Hard Drive on Mac (macOS Sierra) in nearly all format video with original video quality. Besides it, it has many optimized preset for mainstreaming multimedia players, like iPad, iPhone, Surface, Android Phones, PSP/PS3, etc. 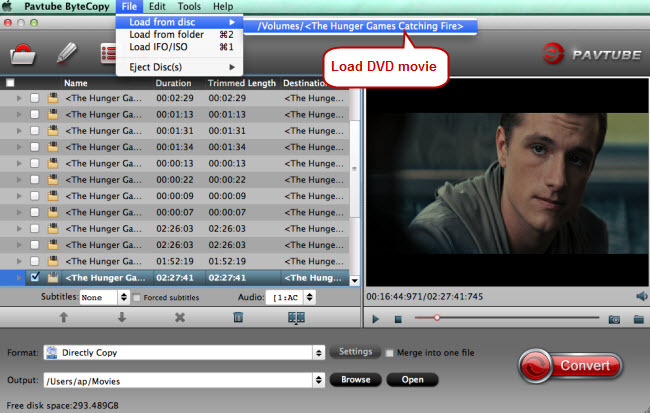 It also allows you to choose your wanted subtitle and audio track while backing up X-Men Blu-ray disc. Step 1: Run the program on Mac, on the main interface click “File” > “Load from disc” to Load Blu-ray disc from optical drive. DVD is also supported to rip to Hard Drive with Pavtube BDMagic for Mac. When both Blu-ray and DVD exists, the software will load DVD. Step 2: Hitting the icon on the top tool bar of the main interface to start to entire backup Blu-ray to Mac Hard Drive with the original video structure and all information in the disc. Pavtube ByteCopy for Mac is a lossless BD/DVD Ripper for Mac including macOS Sierra that can get around the copy protection from Blu-ray and DVD then transform the “Disc format” to mainstreaming video format to compatible with various portable devices, game consoles, tablet, laptop, server, cloud storage, etc. It features with wide of output video/audio format, like H.265., M3U8, MP4, MOV, MKV, AVI, etc. The best part of Pavtube ByteCopy is that it has the ability of backing up your Blu-ray collection to Mac drive in multi-track lossless MKV without quality loss while preserve all chapter markers and ripping Blu-ray movies to MP4/MOV/AVI with multiple subtitle and audio streams. And the windows version can export single SRT subtitle file. Step 1: Insert Blu-ray disc into disc drive, launch ByteCopy for Mac, and browse to disc drive for importing your Blu-ray movie into this app. It can automatically detect the main title to convert. You can choose desired subtitle and forced subtitle before the next step. Step 2: To rip Blu-ray to multi-track MKV/MOV/MP4 on Mac (macOS Sierra), click the drop down box of “Format”, and select the “Multi-track Video” option. 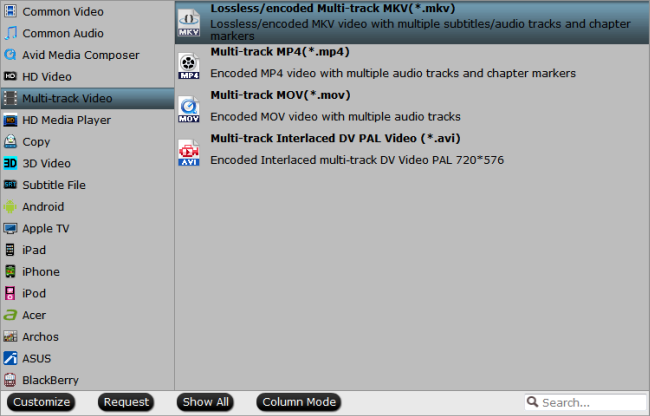 Here, you can choose “Multi-track MP4(*.mp4)” or “Lossless/encoded Multi-track MKV(*.mkv)”, or “Multi-track MOV(*.mov)” profile. All these formats are designed to output videos with multiple audio tracks. The last step you need to do is hit the “Convert” button to start the conversion of Blu-ray content to Multi-track MP4/MKV/MOV on macOS Sierra. Once the process ends, open the output folder to locate the generated video. With these three motheds, you can successfully copy Blu-ray on Mac (macOS Sierra). You can play Blu-ray on QuickTime on Mac, import Blu-ray to iMovie for editing, sync Blu-ray to iTunes for iPhone 7, iPhone 6S (Plus), iPad Pro, iPad Air 3 and Apple TV 4/3/2/1 and the coming fifth-gen Apple TV. There are obviously many more ripping tools for Mac out there, but these are the 3 which I personally like or have had recommended to me by friends. In case your favorite is not on the list, please let us know about it in the comments below and tell us what is so good about it. Learn >> Why Mac Never Get Blu-ray?